"@LovingOutLoudly : I love booth128 @changeit #freeswag #freechocolate awesome folks! #afpcongress @afptoronto https://pbs.twimg.com/media/B3TQvhGCYAElfIn.jpg"Thanks! Grateful for @twitter today. 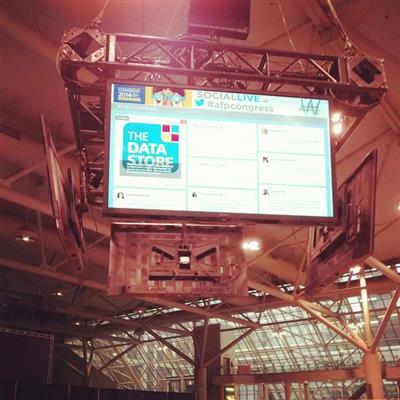 Can’t clone myself so I’m able to follow #afpcongress to catch a glimpse of amazing sessions going on. #afpcongress "If your actions inspire others to dream more, learn more, do more and become more then you are a leader"
Be a great leader. #AFP2014 #afpcongress #growbevalue Be the mosquito! #afpcongress Fundraisers want to pay rent, have vacations. That is not evil.